This special issue assembles articles derived from one of the annual symposia for doctoral students and academic staff held by Queen Mary, University of London and the Humanities Graduate School of the University of Freiburg. The symposium focused on various “languages” (textual, visual, performative) in which the heroic has manifested itself in Europe from the Middle Ages to the present. Apart from the discursive potential of the heroic, its affective quality and emotional impact were of special interest. 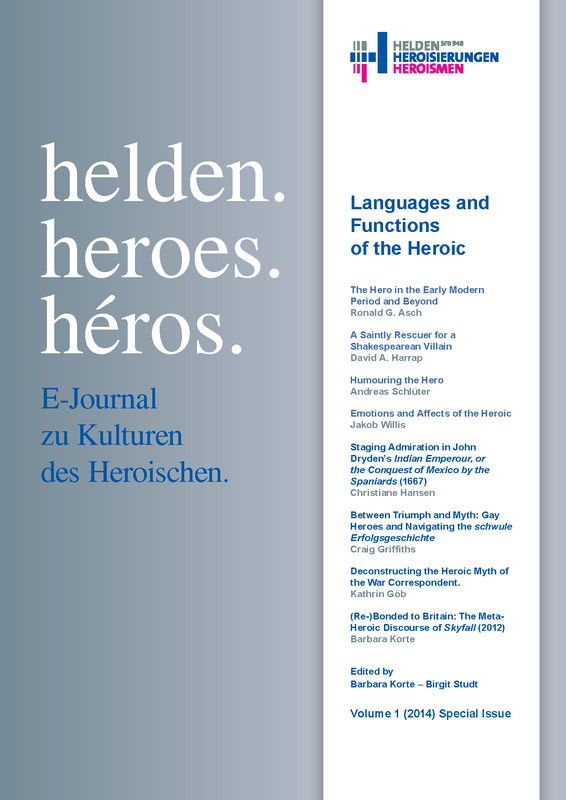 The articles in this issue cover a wide thematic ground and raise essential questions pertaining to the heroic, its functions and its various modes of representation.